Today was Day #2 of Chocolate and Peru Theme Week. Toasted corn, peppers, chocolate...I can imagine eating all these foods in Peru, or a local Peruvian restaurant. 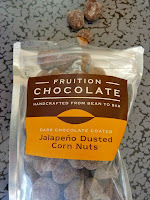 How wonderful that they all came together in the form of today's Dark Chocolate Coated Jalapeno Dusted Corn Nuts from Fruition Chocolate (Shokan, NY). 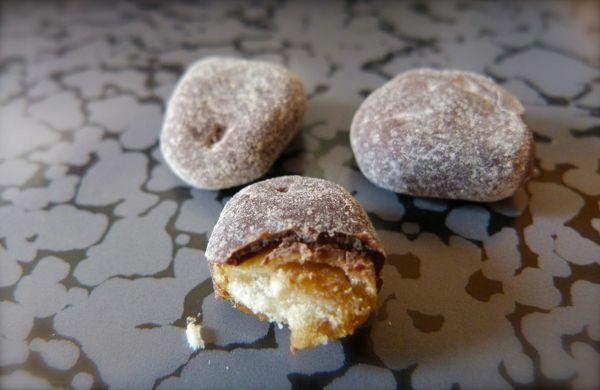 Similar in style and execution to Fruition's dark chocolate coated orange scented cranberries (featured yesterday), the 66% Peruvian chocolate did not dominate, but rather enhanced the core ingredients and well balanced flavors. Slightly savory, salty and spicy, these hit the spot. In an all-chocolate dinner (yes, these dinners do exist), these corn nuts would be a nice appetizer, tapas plate, or side dish. For many centuries, cacao, corn and peppers have evolved together in Latin/South American countries that spanned lowland jungles and coastal regions to the foothills of the Andes mountains. All this, long before chocolate was being made in Europe. These foods were commonly found together in hot and cold thick beverage form originally. 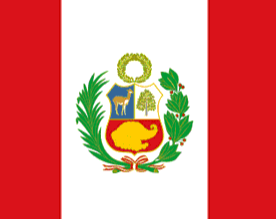 Peruvians have long enjoyed canchas (large kernels of toasted maiz (corn)), and likely some form of popcorn. 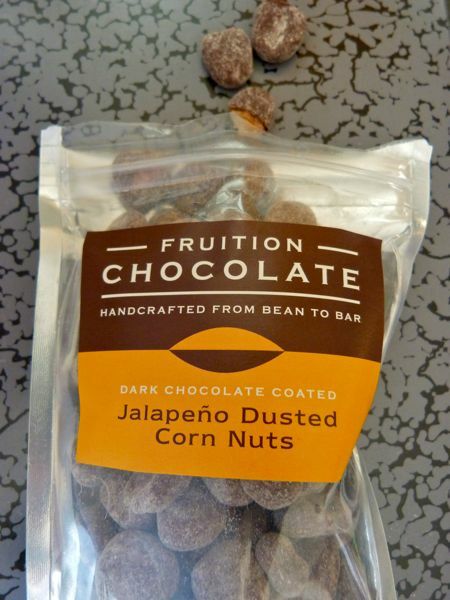 So, today's snack seemed like a natural fusion of "New World" ingredients, now made by Fruition Chocolate in small batches in the Catskill Mountains of New York, that were shipped out to California. Someday I will do a theme week on chocolate and transportation. Chocsimiles (chocolate facsimiles) of trucks, ships and trains are but a few possibilities for this week. But, in the meantime, I am focused on Peruvian chocolate, and the coat of arms (shown at right) in the center of the Peruvian state flag. The horn of plenty (golden shape under the llama and chichona tree), dovetails with my feeling that life is filled with natural beauty (not to mention chocolate). May it ever be so.